Strangely, as technology generally is supposed to improve quality and performance, it has been the opposite in the music/audio industry. Sound reproduction quality reduced when technology moved from vinyl to CDs, and again reduced even more dramatically when moving from CDs to mp3 or other compressed digital audio format. 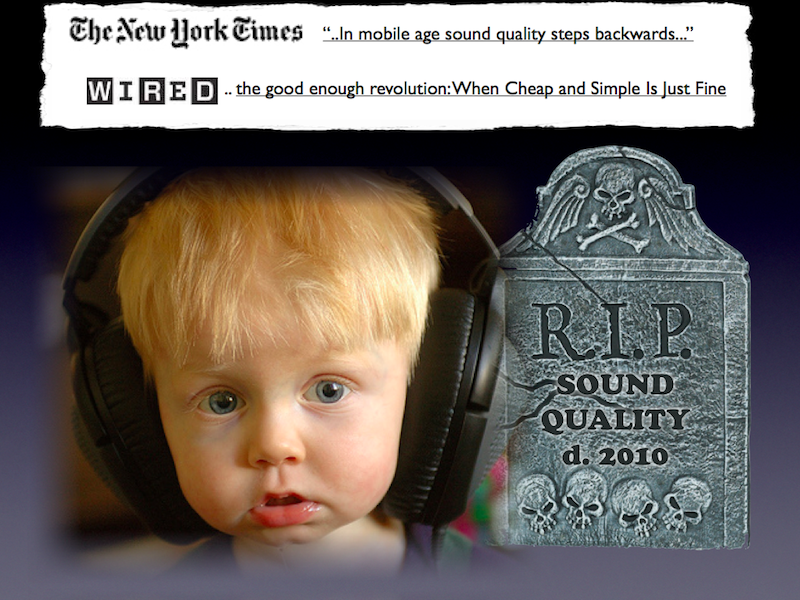 Sound quality regular music listeners on most personal users devices, be it smartphone, mp3 player, computers, TV, audio system etc are worst today that it was 50 years ago… mp3 compression or streaming audio loses as much as 80 to 90% of original recorded sound quality…and it seems young generation does not really care, even when they spend more time than any other generation before listening to music, specially on their smartphone. Clearly mobility is more important. Most young people don’t buy CDs anymore but download compressed digital music or listen to streaming music; Beyonce last album for the holidays was downloaded 2 Millions time in 2 weeks, a new record, but not for long. CDs sales are going down and down and down. 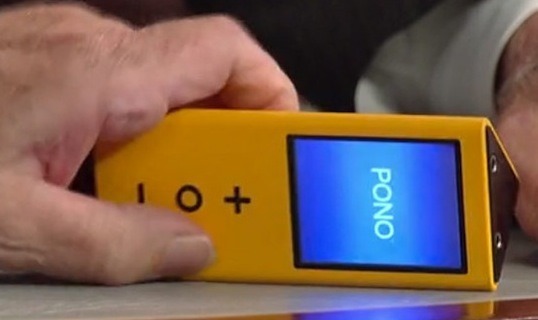 As I was a sound engineer in a past life, this keeps bothering me… I have been looking for a long time at Neil Young "PONO" project of trying to launch and market for a download service with a new technology reproducing high quality studio recordings, but it has been delayed and delayed, as it seems he did not find the right investor, probably due to a weak business model and a high price point … everybody does not have Steve Jobs Marketing genius. BUT TIME HAS FINALLY COME! Harman International announced yesterday at CES a software solution "HARMAN Signal Doctor", based on HTML5, Java and CSS, that automatically analyze and upgrade the audio quality of of compressed digital music files to restore the original sounds as it was recorded ! I have not been trying it yet but it seems this doctor is finally going to cure my hears. 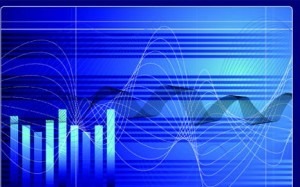 Problem is, to be cured by Signal Doctor, you will have to buy a new Harman product for your home or for your car. However I suppose in a short term they may OEM their technology broadly to be embedded on other audio brands, and they even talk about marketing it as a mobile phone app, this could make this company rich, as I suppose everyone is going to want it, finally reuniting Mobility and Audio Quality, this is THE Solution I was looking for, or am I the lonely survivor concerned about sound quality ?